Mary G. Roseman, PhD, RDN, LD, CHE is a registered dietitian nutritionist and certified hospitality educator. Dr. Roseman has a MBA and completed her doctoral studies in Food Systems Management at Oklahoma State University. Building on nearly 20 years of industry experience with an international quick service restaurant company and as a university assistant foodservice director, her research focuses on consumer perspectives and behaviors regarding food consumption and healthful eating practices in restaurants, schools, senior centers, and homes. 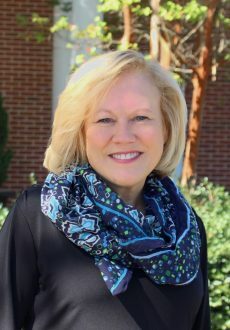 Her research exploration includes topics such as restaurant nutrition labeling, ethnic foods in restaurants, foodservice and dietary practices and interventions in K-12 schools, functional food usage in family eating patterns, and food safety practices of university students and seniors. Her research also includes employee and management/supervisor perspectives and behaviors in the foodservice work environment regarding food safety, restaurant appearance and cleanliness, product quality, error management, and communication.